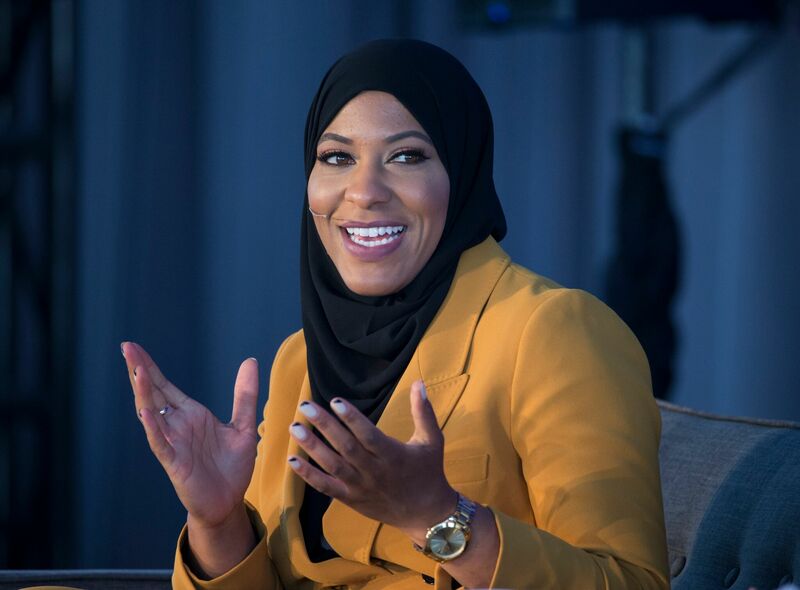 It was rather difficult to not hear about Ibtihaj Muhammad while watching the 2016 Summer Olympics. The sabre fencer from New Jersey became known not only for her fierce fencing skills, but for being the first Muslim-American woman to wear a hijab while competing for the United States. 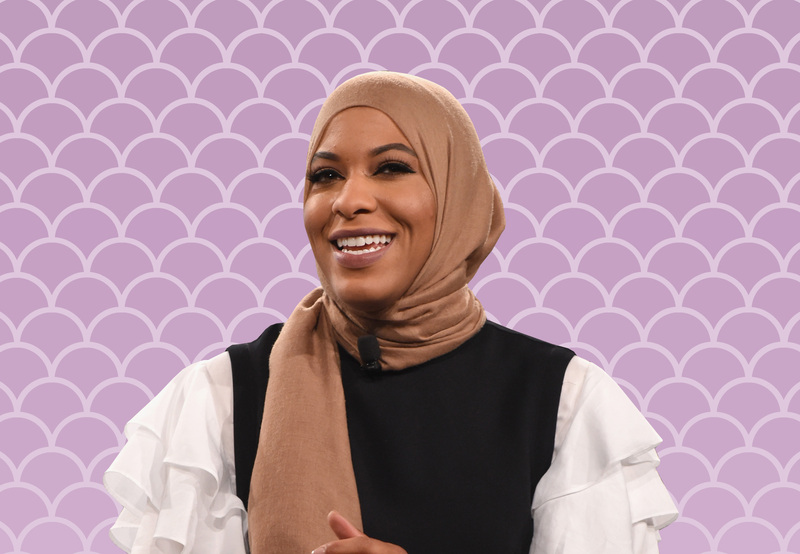 She went on to win a bronze medal as a part of Team USA, and became the first female Muslim-American to do so. Today, Muhammad is busy with her newest venture, Louella, a line of modest — and fashionable! — clothing. Located in Los Angeles, Muhammad and her siblings founded Louella to offer a variety of conservative and cute dresses. We caught up with Muhammad via phone, while she was at the 3rd Annual ANA (All Nippon Airways) Inspiring Women in Sports Conference, held in Palm Springs. She filled us in on what winning an Olympic medal felt like and how women can inspire themselves. HelloGiggles (HG): I wanted to start by asking, what are you up to today at the ANA Inspiration? And what are you planning on discussing? Ibtihaj Muhammad (IM): I’m here in Palm Springs, and I just finished up my panel with Julie Foudy and Mariah Stackhouse…We talked about the importance of inclusion and diversity in sport. [I talked] a little bit about my story as a minority athlete coming up through the ranks at Team USA. HG: You were obviously the first female Muslim-American woman to win an Olympic medal. What did that feel like, being the first? IM: You know, in the moment, I just thought about all of the hard work and the long hours in the gym — the blood, sweat, and tears, the injuries, all the hurdles and obstacles I had to overcome to reach that point in my career. When I had some time, I sat back and processed not just what the journey meant for me, but also what it meant to anyone who has ever been told no or [to anyone who] ever felt as if they didn’t belong. And not just in sports, but in other walks of life. I think that in my journey to an Olympic medal, hopefully people can find inspiration in that — and that it is about hard work and perseverance, even when people tell you that it is not possible because of misconceptions they have about your race, your gender, or your religion. HG: Were you ever concerned about wearing a hijab while competing? IM: Well, my hijab is very much part of who I am, and I always say that my faith in God comes first and everything after that is secondary for me. So I actually find fencing to be a uniquely accommodating sport for me as a Muslim woman, in that I didn’t have to jeopardize any of the tenants of my faith in order to participate. IM: Yeah, they have the Pro Hijab now. HG: Changing gears a little bit, you actually now have a fashion line called Louella, which you started with your siblings. Where did the idea for that come from, as that is a little different from fencing? IM: I started Louella four years ago, along with my siblings. It was really a business opportunity that was born out of necessity. There was a void in the United States market for modest fashion and for myself, my sisters, my friends, we had a really hard time finding long-sleeved dresses without having to order them from overseas. So I got [together] with my siblings and thought, “Why not start our own clothing company and provide fashionable, modest, supportable clothing to the U.S. market?” Honestly, our company was grown organically from there and again, we’ve been in production for the last four years. We manufacture actually here in California, right in Los Angeles. HG: Currently, for a lot of Muslims, especially Muslim women, we are facing a lot of strife and fear in America. Do you have any advice for Muslim women who are currently dealing with everything that is going on in America at the moment? IM: To be confident, to be yourself. Don’t let anyone dictate or try to dictate what you believe or who you can become. I know that I’ve faced adversity my whole life, not just as a Muslim, but also as a woman of color, and you can’t allow other people’s misconceptions or bigotry to dictate how you live and operate your life. I think that if you put your faith in yourself and in God, then you can do anything.